Let's talk about something relevant. Something I HAVE to share with you. Something that happened 3 months ago. 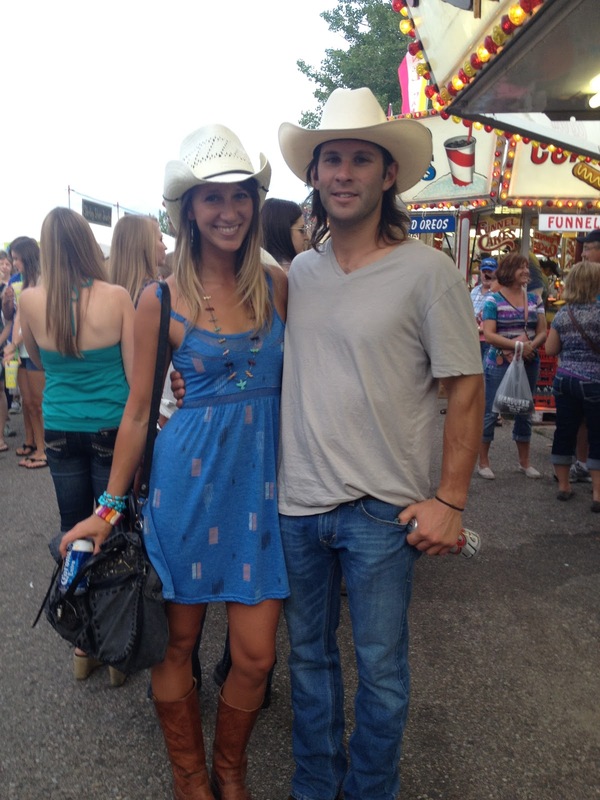 There were cowboy boots and cowboy hats; carnival rides and country music; there was so much redneck goodness. 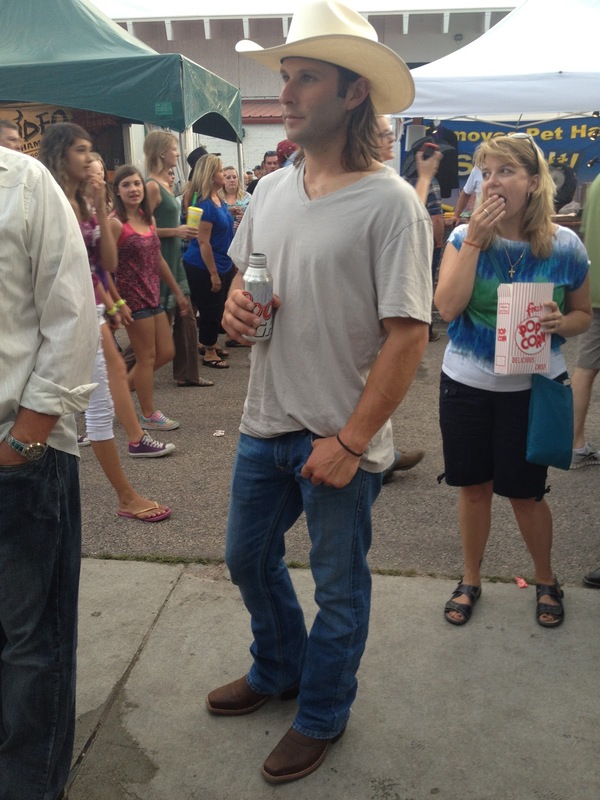 I'm talking about Cheyenne Frontier Days. Wes surprised me with tickets to Brad Paisley (my favorite!) the day before the show. 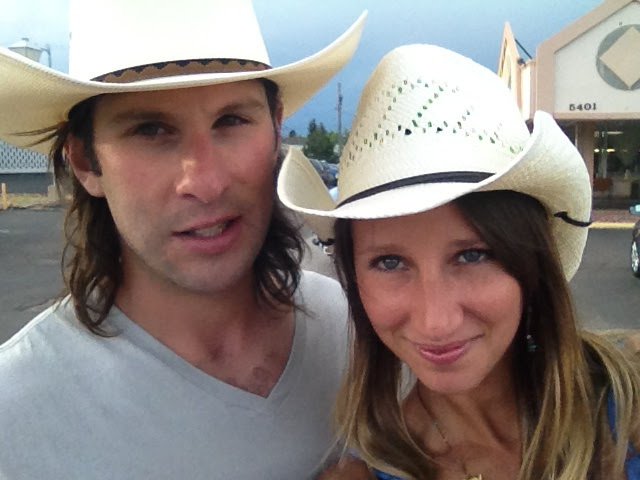 We put on our cow-people best and drove the 3 hours to Cheyenne, Wyoming. The show was amazing! The Band Perry opened and they were awesome live. Then Brad came on and blew us away (Wes was impressed and he's not even a country fan). I'm bringing this up 3 months late, because I want your opinions. I am a true, Colorado, country girl at heart. I grew up listening to Kenny, Tim and George. I wore cowgirl boots to school and all my high school boyfriends drove a pickup truck. 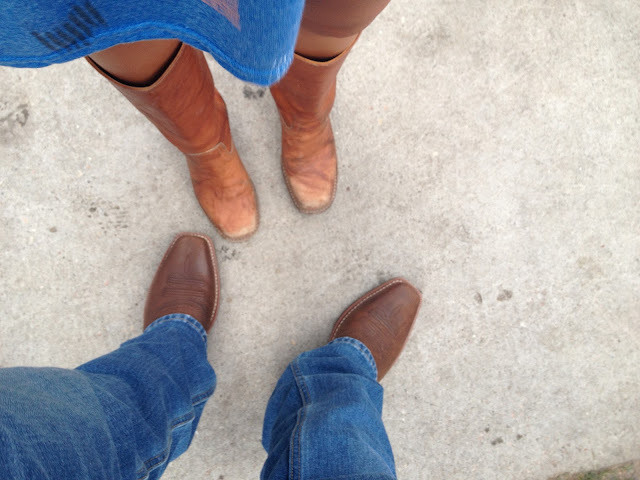 Although I still wear my cowgirl boots occasionally and Wesley does drive a truck, it's different living in Breck. I'm more converse than cowgirl, more high heels than horses. I can answer this question by looking at all of the people behind you in the pictures. You definitely stand out.....they for sure know you're not REALLY one of them.